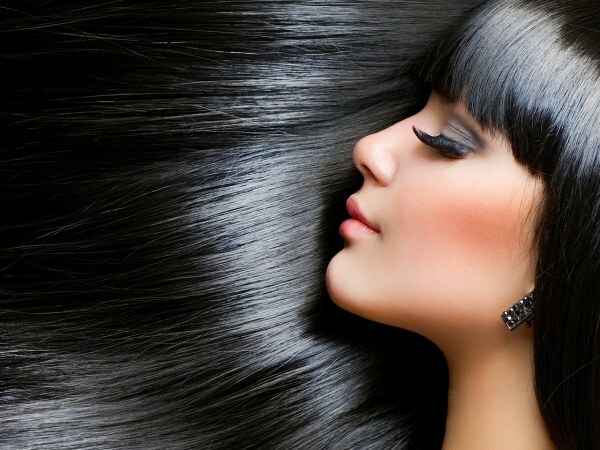 Lamination of hair – popular harmless procedure that allows us to achieve smoothness, Shine and brightness of hair. It can be done in the salon and at home. Lamination of hair is to apply special means, which coats each hair and creates a thin film. In the end, hair is shinier, less fuzziness and break. Examples include the girls from the ads of shampoos, in most cases, their beautiful and healthy hair is the result of lamination. The procedure is performed in several stages. For starters, the hair is washed with purifying shampoo. Then applied the hair mask you leave on for 10-15 minutes for deep penetration. After rinsing applied a special composition that contains active substances and proteins. It is held for several minutes and then thoroughly washed off. The final stage of lamination is repeated shampooing with the shampoo. Lamination of hair can be hot. In this case, the hair is heated using a warming mask. So the laminating composition penetrates into the hair structure, providing the best result. Bio-lamination allows for not only visual effect but also to improve hair condition from the inside. The composition of the medium is cellulose, which makes hair more flexible. The effect of the treatment are visible immediately. Due to the film, the tips less brittle, with a healthy Shine, volume and color brightness. Hair becomes softer to the touch, stop confusing and easier to comb. Styling takes less time and lasts much longer. With every wash the film is becoming thinner, eventually disappearing in 3-6 weeks. The first procedure is better to spend in the checked place. The wizard will tell in detail about each stage, provide recommendations and conduct briefings. You can then purchase everything needed and to do lamination at home. At home often spend a lamination with gelatin. It is dissolved in hot water, applied to the hair and wash off after few minutes. The result looks no worse than when using cosmetics. The difference is low cost and not such a long effect.